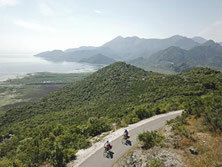 Destination: coastal mountain range, the bay of Kotor. Kotor Bay is said to be the southernmost fjord in Europe. 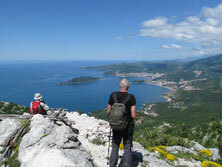 Surrounded by mountains that reach up to 1500 meters (4920 feet), it is the best protected natural harbor of the Adriatic, and it is possible to smell the sea up to 40 km inland. 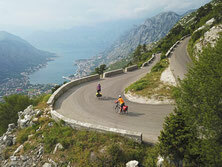 Many historical cities and towns date from the period of Venetian rule, such as Kotor, Perast and Risan. Former military roads, remnants from the Hapsburg era, are today ideal walking, riding, and bicycling paths.